Health Special Risk provides owner-operator insurance programs for companies using independent truck drivers or contractors for their hauling and product transportation needs. 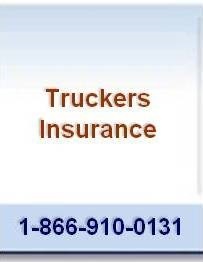 Owner-operator insurance coverage provides protection with substantial savings to both contractor and truck driver. Through this program, coverage can be extended to groups and individuals. Authorized passengers can also obtain insurance through Health Special Risk's separate passenger hazard accident insurance program. Insurance quotes are based on coverage options chosen. use this form to request more insurance information.